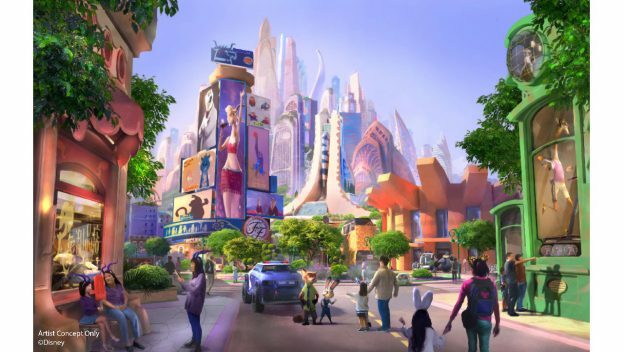 When it comes to bringing in guests, Disney will try anything…including making a massive new land based on the hit movie Zootopia. Shanghai Disneyland has announced that they will be building a brand new land based on the movie. It will feature a brand new, state of the art technology that blends Disney storytelling with the latest advances to bring the story of Zootopia to life. This is the second expansion for Disneyland Shanghai since it opened in 2016. The first was Toy Story Land. The new land will feature the new attraction, as well as shopping, dining and character interactions. While we don’t know exactly what the new attraction will be, Shanghai Disneyland is home to the breathtaking Pirates of the Caribbean ride, and the amazing Tron Lightcycle Coaster which is getting a version at Magic Kingdom at Walt Disney World. China seems like the testing ground for Disney’s amazing technology and stories, so it’s likely that Zootopia will be another breathtaking feather in Shanghai’s cap. Rumors have previously put a new land in Animal Kingdom, but those rumors have since shifted to now have “Wakanda”. Shanghai Disneyland Soft Opens, and It Looks Amazing!